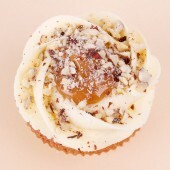 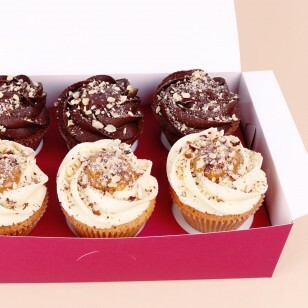 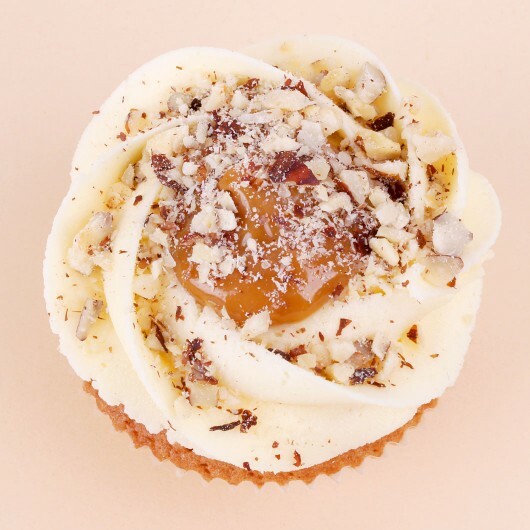 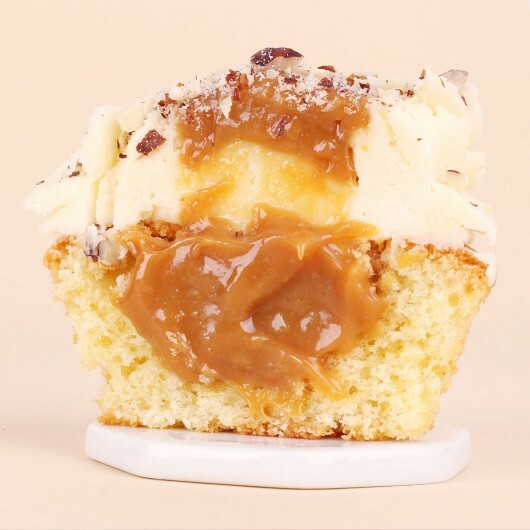 Our Dulce de Leche Cupcake is Take a Cake's most tender love confession. 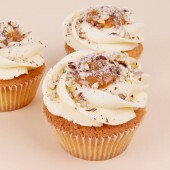 This jam made of milk with its caramel taste fits the vanilla base perfectly. 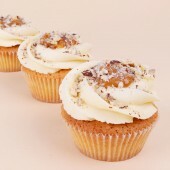 The tender and fluffy cheese cream frosting transforms it into one incredible small cake. 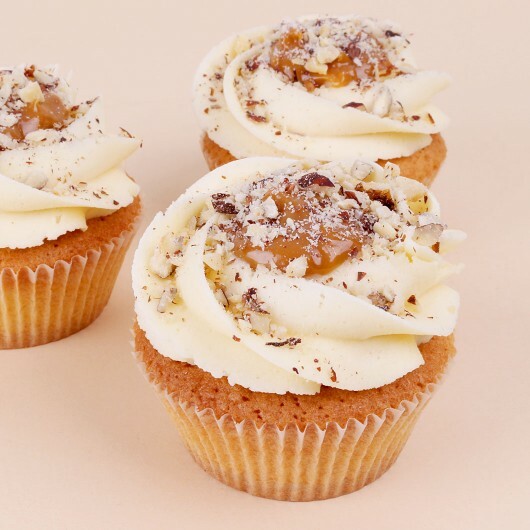 To make the pleasure even fuller, we top the frosting with a spoonfull of Dulce de Leche, then sprinkle chopped hazelnuts all over it.